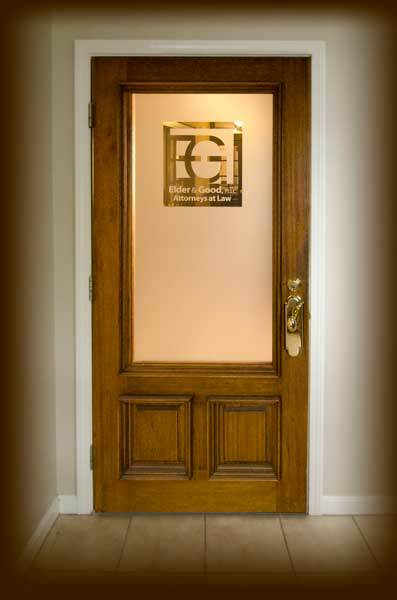 As stated on our Firm Overview page, Chad Elder and Brian Good have combined their experiences and skills as a former Medical Board litigation lawyer and a seasoned board defense attorney to provide the highest quality legal representation to therapists and health care professionals. We have successfully defended therapists before the Boards of Physical Therapy, Occupational Therapy and Respiratory Therapy. If you are a PT, OT or RT in Kentucky or Ohio, Elder & Good, PLLC is prepared to defend your license during Board investigations, formal disciplinary actions, appeals to courts of law and criminal prosecutions. If you are under criminal investigation or charged with a crime, would you represent yourself? If you were the subject of a civil lawsuit, such as a malpractice action, would you represent yourself? A prudent therapist would retain an attorney with experience and expertise in those areas of law. If your Physical Therapy, Occupational Therapy or Respiratory Therapy license and livelihood were in jeopardy due to a Board investigation or formal Board disciplinary action, would you represent yourself? Do you have experience in dealing effectively with Board investigators and Board attorneys? Have you ever negotiated with a Board attorney regarding an appropriate outcome of a grievance filed against you? Do you have experience in knowing a great resolution of a Board investigation or action from a poor resolution? Are you familiar with the collateral consequences of certain Board agreements, such the impact an agreement could have on your employment or an out of state license, or with other government agencies? Do you know the concrete and proactive steps you can take during a Board investigation to avoid formal disciplinary action even if the Board attorney can prove a violation? Do you know what evidence and documents you are entitled to review relating to a Board investigation or action? In short, a Board investigation or formal Board disciplinary proceeding can be every bit as complex and adversarial as a criminal action or a civil lawsuit. If you are a PT, OT or RT under investigation by your Board in Kentucky or Ohio, it is imperative that you consult with a license defense attorney immediately upon being contacted by a Board representative. Of course, the same holds true if you are contacted by law enforcement pertaining to a criminal investigation or by government authorities, such as Medicaid. You should never make any statements to a Board investigator, law enforcement officer or other government agent without an attorney. We strongly advise you to respectfully decline a meeting, interview, or telephonic conversation or to provide a written response to an inquiry without retaining a lawyer. When you retain a license defense attorney, the Board, law enforcement and government agents investigating you will be advised of your representation and prohibited from contacting and questioning you directly. Should you retain Elder & Good, PLLC to represent you, any questioning or exchange of information will go through us. While it is tempting for a therapist to believe that he or she can engage Board members in a friendly and professional dialogue to work out any concerns about his or her practice or conduct, Boards simply do not operate in that manner. If a Physical Therapist, Occupational Therapist or Respiratory Therapist attempts to contact a Board member directly about a pending investigation, the inquiry will be diverted to the legal and investigative departments. Moreover, an investigator with the Board will seek an interview to discuss the allegations against the therapist. We do not recommend that a therapist under Board investigation consent to an interview or investigative meeting, or have any contact with the Board, without legal counsel. First, it is important to note that the therapist is subject to questioning by the Board investigator about any subject. Second, sometimes a therapist will candidly admit an error and steps he or she has taken or will take to avoid the same error, or alternatively, the therapist may innocently or unintentionally characterize the allegation as less serious than the investigator or Board members view it. Unfortunately, some of these well-intentioned therapists who believed they were providing candid responses to relatively minor infractions complicated their cases. In short, we strongly urge a therapist to retain experienced Board defense attorneys at the onset of a Board investigation to work and speak on their behalf. When you contact Elder & Good, PLLC at the onset of a Board investigation, we are able to guide and defend you through the entire disciplinary process. We assist therapists during board investigations in several ways. We deal directly with board attorneys and investigators, handling all correspondence and communication with them. We also obtain and evaluate the evidence against our clients, assess the strength and weakness of the evidence, collect important documents that may be vital to mounting a defense and, most importantly, attempt to ward off a formal board complaint by negotiating favorable resolutions during the investigative stage. Often, retaining an appropriate expert to review patient records, advising therapists to undergo certain evaluations or to take certain board approved classes and courses during the investigatory state will prove critical in warding off a formal board complaint. A case will be resolved during the investigative stage, or at any other stage, only if the therapist believes it is in his or her best interest after a thorough vetting of the case, during which we weigh the evidence and explore every possible defense. There are several advantages to resolving a case during the investigative stage before a formal board complaint is filed. First, demonstrated flaws in the allegations, certain defenses or mitigating circumstances can sometimes result in the complete dismissal of a grievance or informal Board action that is not reported to third parties or published in the Board Newsletter or Website. Second, therapists will expend less money on legal fees and expert witnesses. Third, therapists can avoid the common costs of reimbursing a state board for its costs of successfully prosecuting a case. Fourth, a speedy resolution can facilitate employment opportunities for therapists who cannot obtain employment while under investigation or formal board complaint. Of course, there are cases that simply cannot be resolved during the investigative stage. Moreover, in some instances, a therapist who is the subject of a board investigation fails to retain an attorney until after a formal board complaint and/or emergency restriction or suspension already had been filed against his or her license. Elder & Good, PLLC is experienced at joining a case in midstream. However, in order to maximize the benefits of legal representation, you should contact a lawyer immediately upon learning that you are under investigation and especially before you make any statements — verbal or written — to board investigators or law enforcement. Elder & Good, PLLC is well equipped to defend the license of a therapist under scrutiny by the Kentucky or Ohio Boards of Physical Therapy, Occupational Therapy and Respiratory Therapy for drug or alcohol abuse, dependency or addiction. Whether you self-report or someone else reports you to the Board you need strong and effective attorneys to defend your license immediately. The bottom line is simple: if you are suspected of alcohol or drug abuse, dependency or addiction your license is at risk. Chad Elder and Brian Good have worked with health care professionals experiencing chemical dependency issues. We connect the professional with the treatment providers recognized by their Board. The process involves an evaluation of the therapist’s chemical dependency issue to determine the appropriate level of treatment. Whether the therapist is referred for residential or out-patient treatment, a period of follow-up treatment and monitoring by the Board will be important for the therapy professional. It is important to have legal representation when reporting an impairment and seeking treatment. Often, the health care professional’s conduct has involved illegal prescriptions, fraudulent acquisition of controlled substances or acquisition of illegal street drugs. This conduct can lead to criminal investigation by law enforcement agencies, prosecution and incarceration which will significantly impact the therapist’s professional privileges and personal liberties. It is important that you consult with an attorney with experience in criminal matters to mitigate the professional and personal impact of a criminal investigation. By making immediate contact with law enforcement, Elder & Good, PLLC has warded off criminal convictions, negotiated lesser charges and mitigated the impact of criminal convictions on the therapist licenses. Additionally, the therapist’s chemical dependency issues may have affected his or her professional practice. While the Board takes all allegations of drug or alcohol abuse seriously, it is especially concerned when a therapist attends work or practices while under the influence. If a therapist has engaged in such conduct as a result of his or her chemical dependency issue, that conduct will be subject to scrutiny and discipline separate and apart from the underlying chemical dependency issue. Elder & Good, PLLC is prepared to defend your Physical Therapy, Occupational Therapy and Respiratory Therapy license. Contact us to learn more.